Chuck’s Plumbing & Heating is a Leavenworth County area favorite, bringing reliable cooling, heating and plumbing services to homes and businesses. Our licensed mechanical installers, plumbers and electricians are always up-to-speed on products old and new, and we offer the proven quality of top brand names to ensure that you get the most performance, value and peace of mind possible. We are an independent dealer of Trane heating and cooling systems and excel in their installation and service. On-target solutions. Dependable equipment. Easy-to-talk-to people. 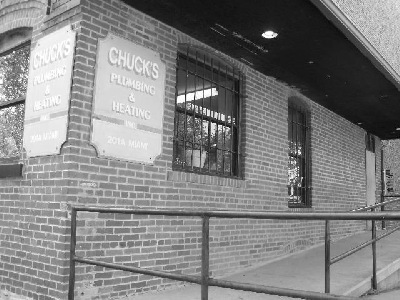 For heating, cooling and plumbing that delivers lasting results, Chuck’s is your rock-solid choice! Chuck's Plumbing & Heating, Inc.
© 2014 Chuck's Plumbing & Heating, Inc. All Rights Reserved.